Dignity Health Sports Park’s ASCSC Community Foundation will partner with AT&T and Becca’s Closet to host a pop-up prom dress giveaway at Dignity Health Sports Park in the American Express Stadium Club on Friday, Feb. 8 at 3 p.m. PT. The Southbay Pavilion’s Sephora and JCPenny Hair Salon will also be present to provide beauty tips to all attendees. This pop up event will provide every young lady the opportunity of owning their own prom dress along with the fairytale experience to ensure these young ladies feel beautiful, regardless of their families’ socioeconomic status. Our goal is to inspire, enlighten, and mentor young ladies to know their value and empower them with the memories, confidence and resources to achieve personal success for prom night and beyond. Volunteers will be eager and ready to assist in selecting the perfect gown to fit each young lady’s personality, frame and style. When the dress is found, the young ladies will step into a mirrored booth for a photoshoot to claim YES! THAT’S MY DRESS. With hundreds of gowns donated by Macy’s, Adrianna Papell, BCBGeneration, Betsey Johnson, Faviana, Terani Couture, Rachel Allan, Morilee Madeline Gardner and many more amazing designers, every girl is bound to show up to prom looking absolutely fabulous! All students will be required to show a high school student ID and sign a photo release waiver at check-in. Media interested in attending should email a member of the Dignity Health Sports Park Communications Department. Parking for media in attendance will be available at Lot 15. ASCSC Community Foundation a 501c(3) organization was established to provide financial and in-kind support for educational, recreational and social service programs which improve the lives of young people in the Greater Southern California region. The foundation has a particular focus on serving the area immediately surrounding Dignity Health Sports Park, located in the City of Carson. The Dignity Health Sports Park staff spends countless hours giving back to our community every year through programs, events, scholarships, and youth ticket donations. 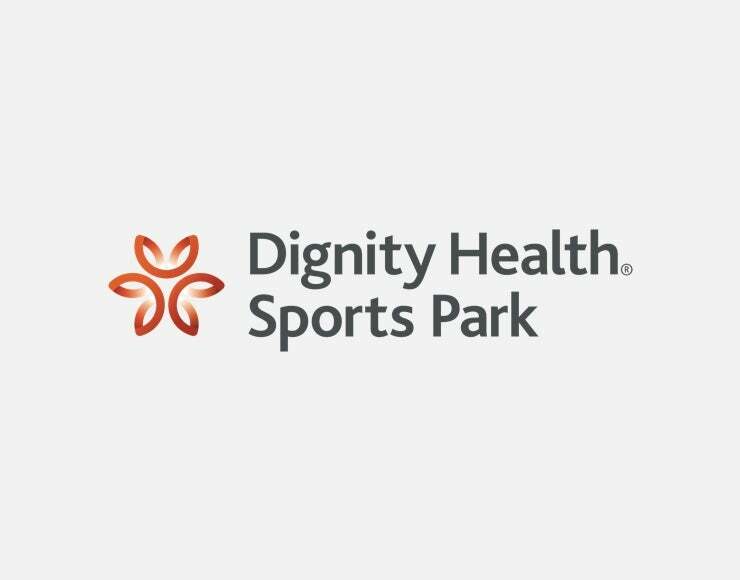 Dignity Health Sports Park is southern California’s home of world-class competition and training facilities for amateur, Olympic, collegiate and professional athletes. Managed by AEG Facilities, the $150 million, privately financed facility was developed by AEG on a 125-acre site on the campus of California State University, Dominguez Hills (CSUDH) in Carson, California. Dignity Health Sports Park features an 8,000-seat tennis stadium, a 27,167-seat stadium for soccer, football and other athletic competitions and outdoor concerts; a 2,000-seat facility for track & field and a 2,450-seat indoor Velodrome – the VELO Sports Center – for track cycling. Dignity Health Sports Park is home to Major League Soccer’s LA Galaxy, the five-time MLS Cup Champions. Dignity Health Sports Park is also home of the Los Angeles Chargers, United States Tennis Association’s (USTA) High Performance Training Center, the national team training headquarters for the U.S. Soccer Federation (USSF) and EXOS, an international training center for elite and professional athletes. For additional information, please visit www.dignityhealthsportspark.com. AT&T Pioneers is a network of active and retired employees volunteering their time to move those in need from adversity to achievement. The Pioneers takes pride in engaging and empowering employees to make a difference in their local communities. Volunteering one’s time is possibly one of the most rewarding ways to ‘give back’ and build meaningful connections that will last a lifetime. “The group has been working together for over a hundred years now,” says Marsha Garnett, AT&T Pioneers National Board of Directors Member, “and the positive impact we’ve had on the lives of the people we serve is immeasurable. We are confident in our ability to continue making the world a better place starting right here. We are deeply connected to the unique needs of our community and to meeting those needs through a spectrum of grassroots projects and programs that span education, environment and health”. Just over fifteen years ago, a compassionate South Florida high school freshman, Rebecca Kirtman, followed her dream and lived by the motto, “Little Things Can Make A Big Difference”. This energetic, intelligent cheerleader and honors student refused to judge others by what they had or did not have. Realizing just how important prom night was, Rebecca set out to launch a dress drive to provide prom dresses and accessories to high school girls who would not have otherwise been able to be a part of one of the first major experiences of their life. All by herself, Rebecca collected over 250 formal dresses and shared these gowns with hundreds of girls across South Florida that didn’t have the financial means, all so they too could make memories at their prom. Just as her dream was taking flight, Becca lost her life in a tragic auto accident on August 20, 2003. To continue her legacy, Jay and Pam Kirtman, her amazing parents, decided that Becca’s legacy must live on. Now fifteen years later, “Becca’s Closet” has expanded and taken shape with chapters established throughout the country to provide hundreds of gorgeous gowns to deserving girls on their special day. In addition to the dresses, Becca’s Closet continues to raise funds to award post-secondary educational scholarships- recognizing the exemplary efforts of young men and women nationwide who demonstrate Becca’s spirit of generosity in their own communities.